If you are a BAUS member, you can log in here for full access to journal content. 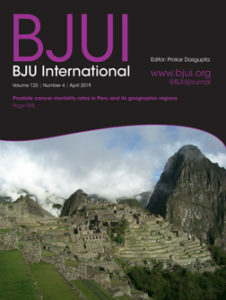 The following BJUI Articles of the Week, selected by the Editor, are available for FREE until 31st May 2019. In utero myelomeningocoele repair and urological outcomes: the first 100 cases of a prospective analysis. Is there an improvement in bladder function?